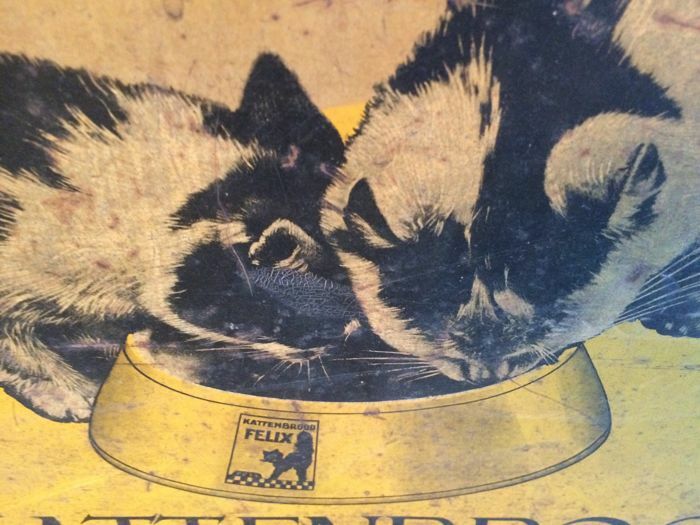 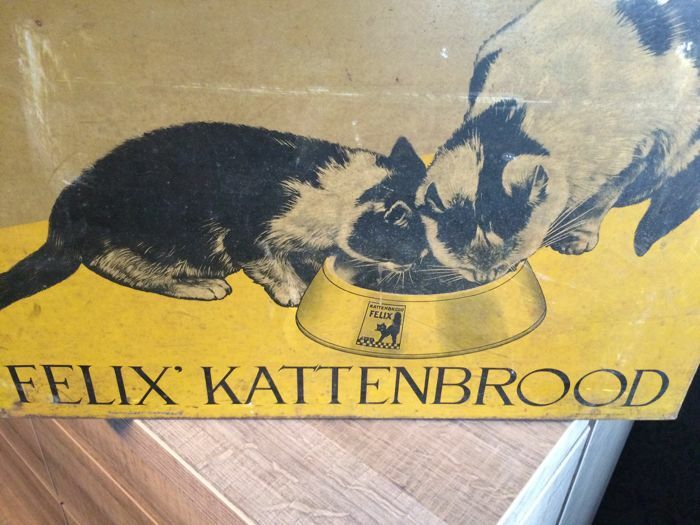 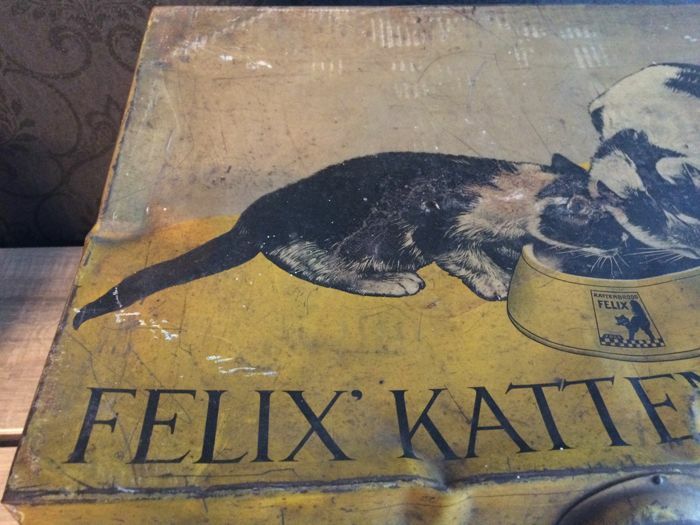 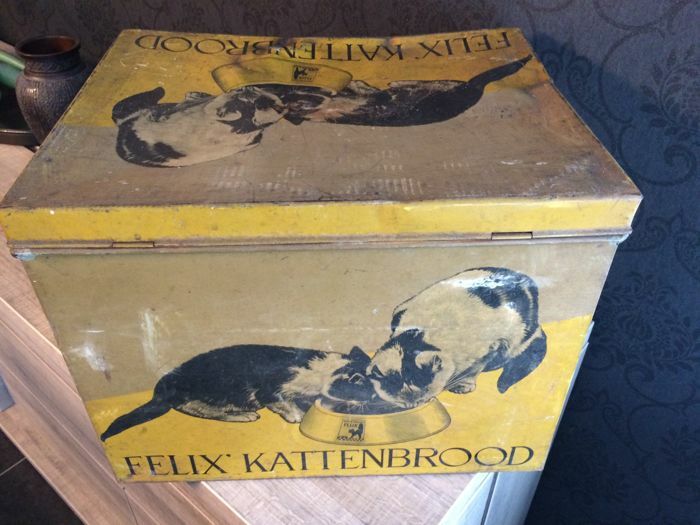 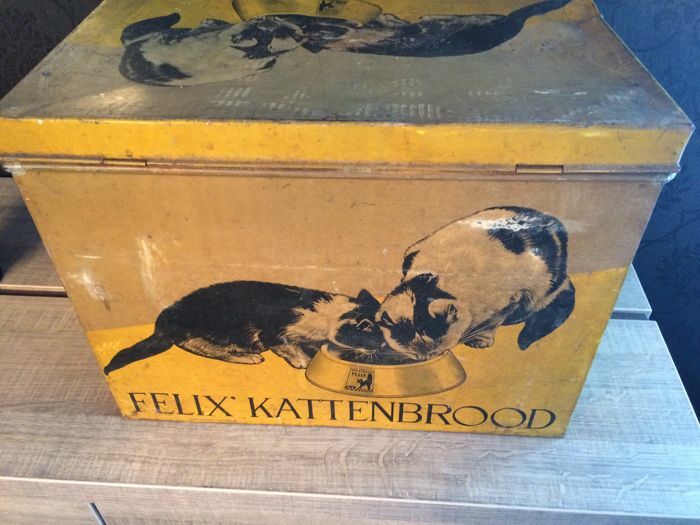 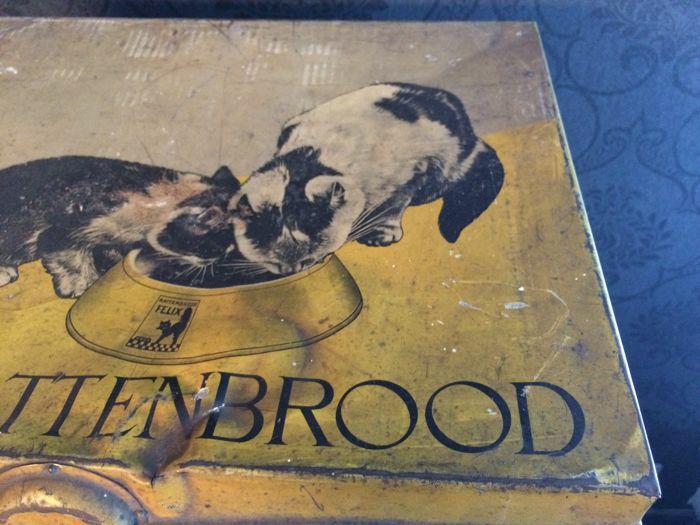 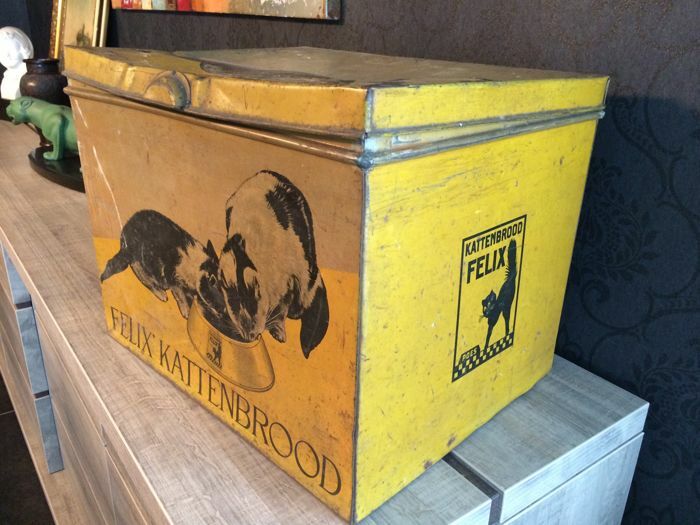 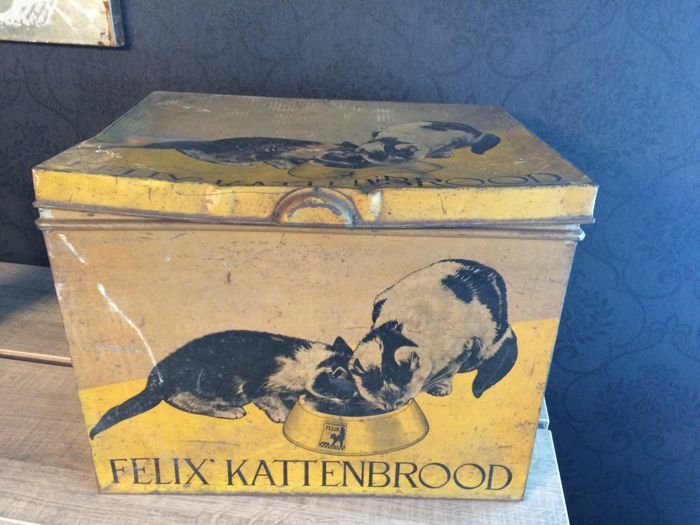 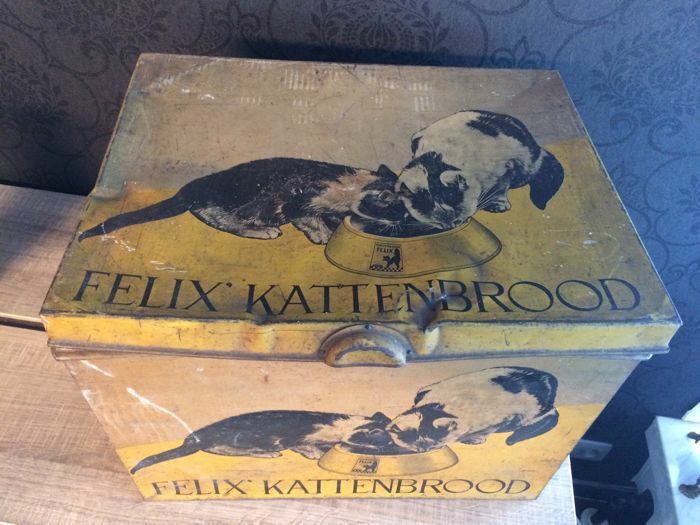 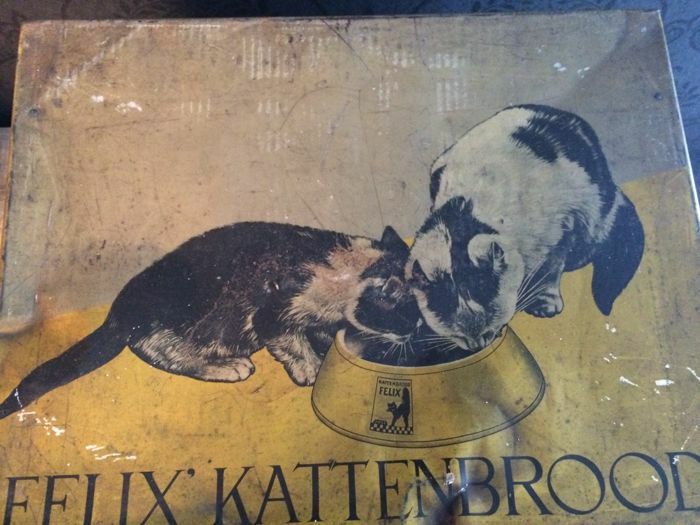 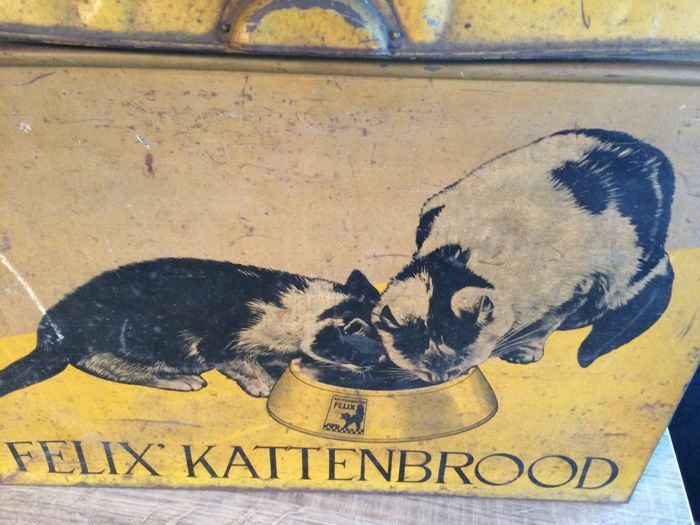 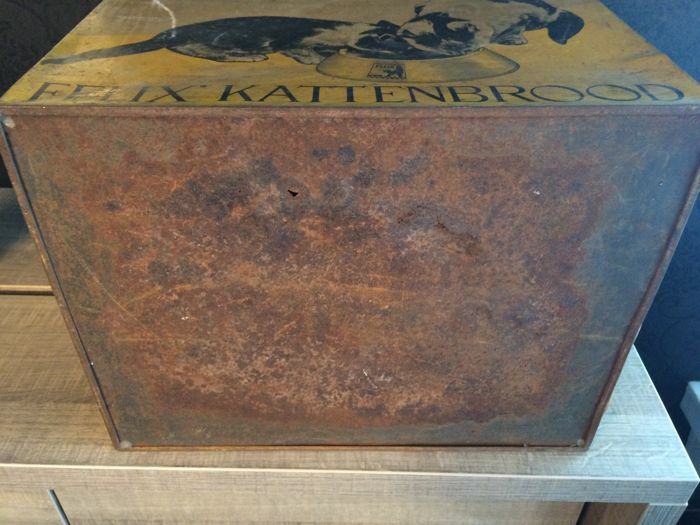 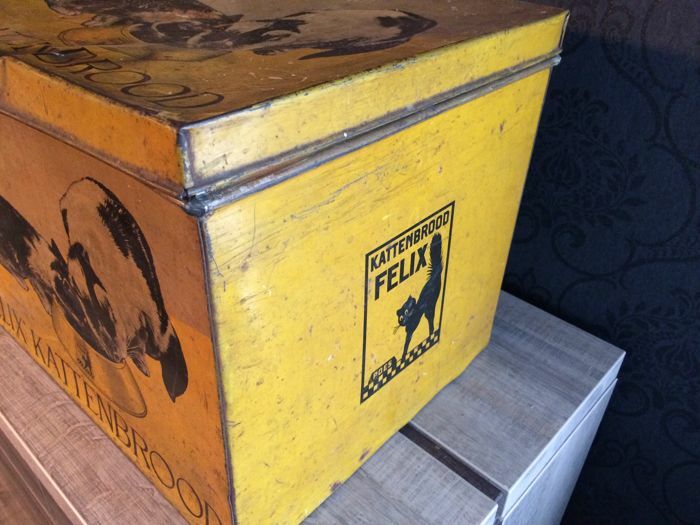 Very nice decorative tin box of from "Felix kattenbrood"
Both the front, back and top has the drawing of two cats enjoying cat bread. 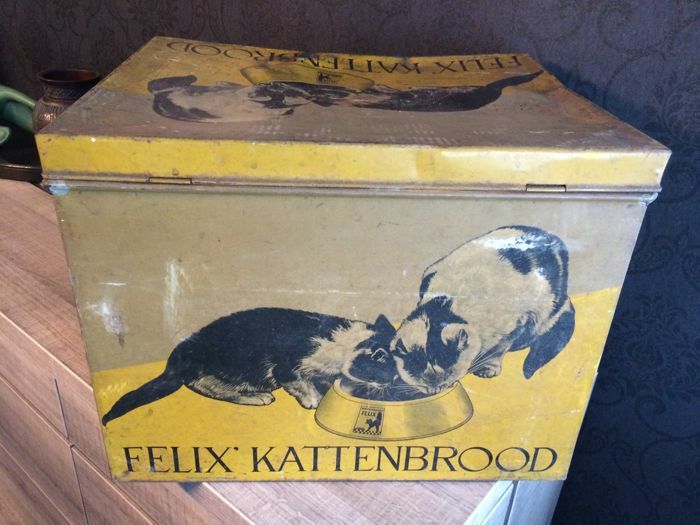 The sides show a cat standing by the litterbox. 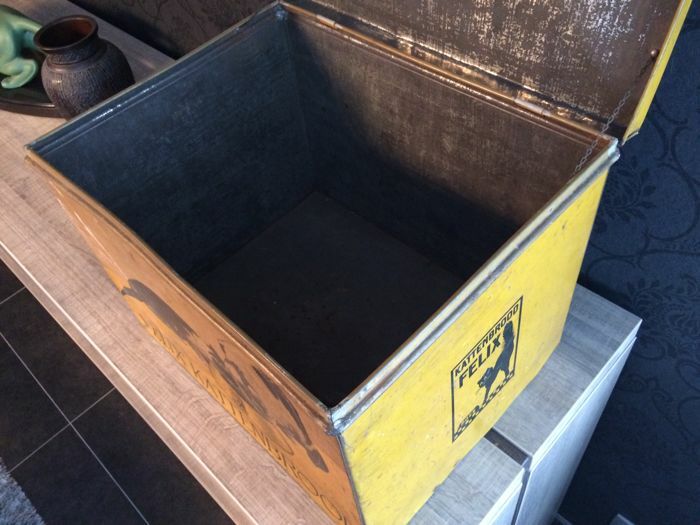 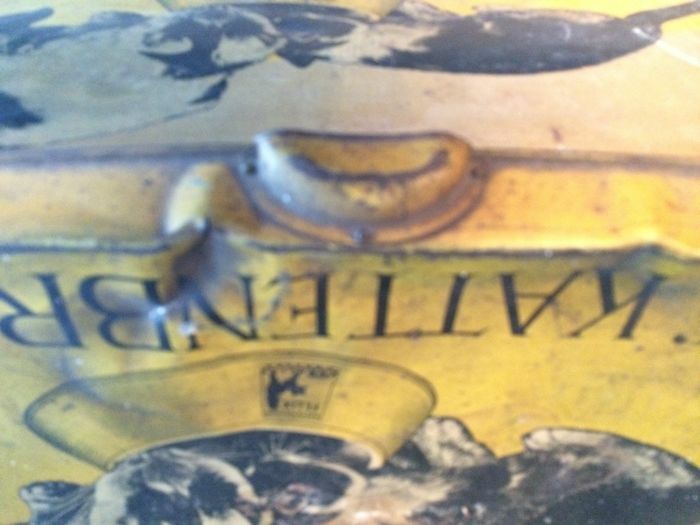 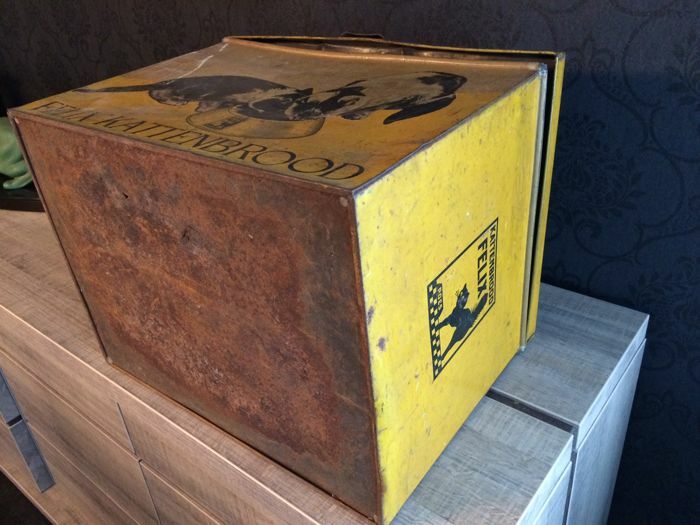 The tin box is in fair condition with traces of use, of course, as you can see on the many pictures. 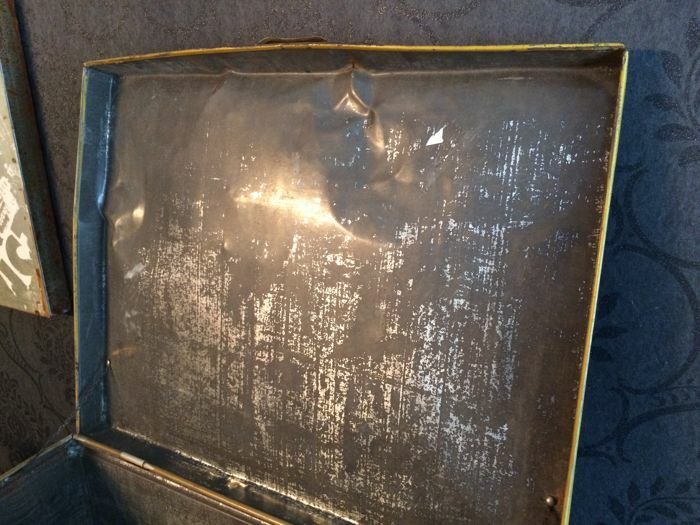 The front, back and sides are decent, the lid has some dents but still closes easily, a handy person could improve on this. 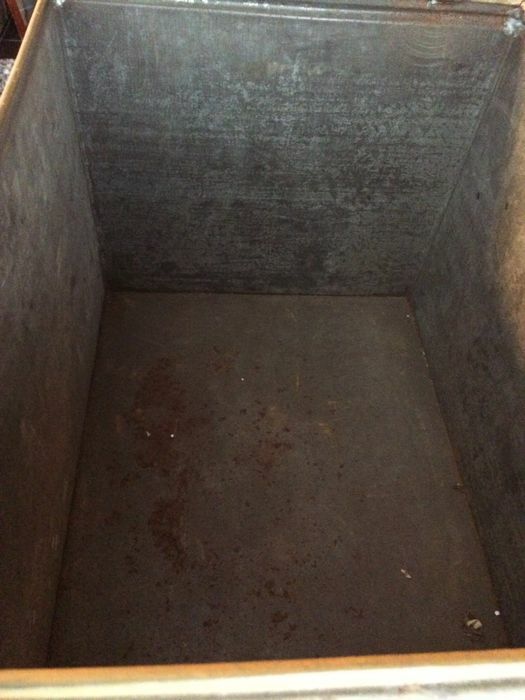 There are still chains on the inside. 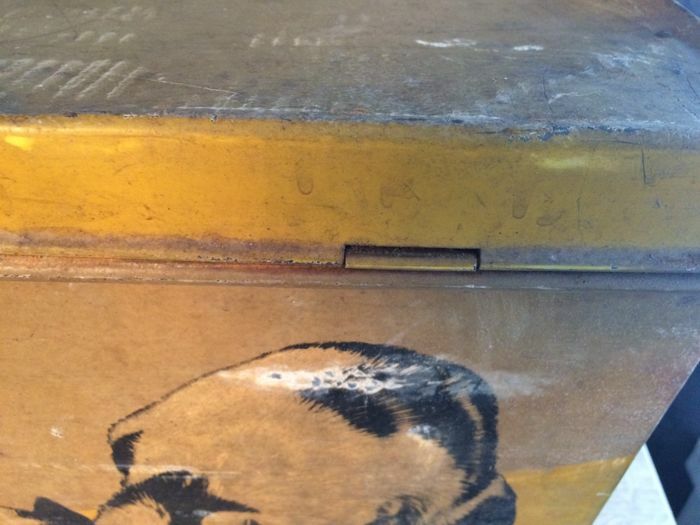 The lid has a small handle. 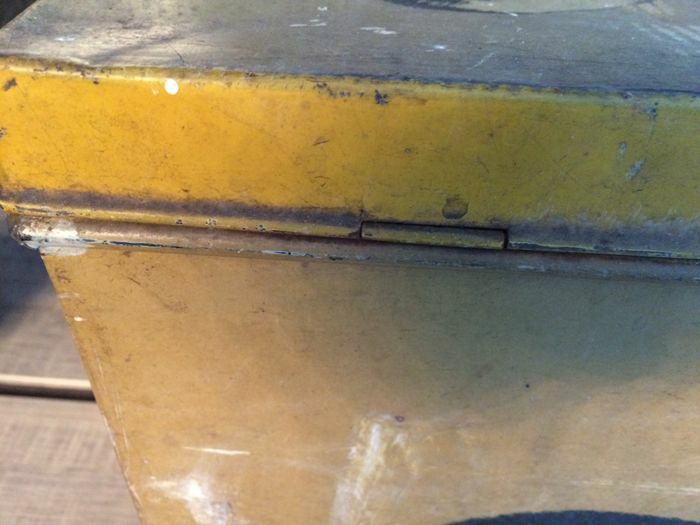 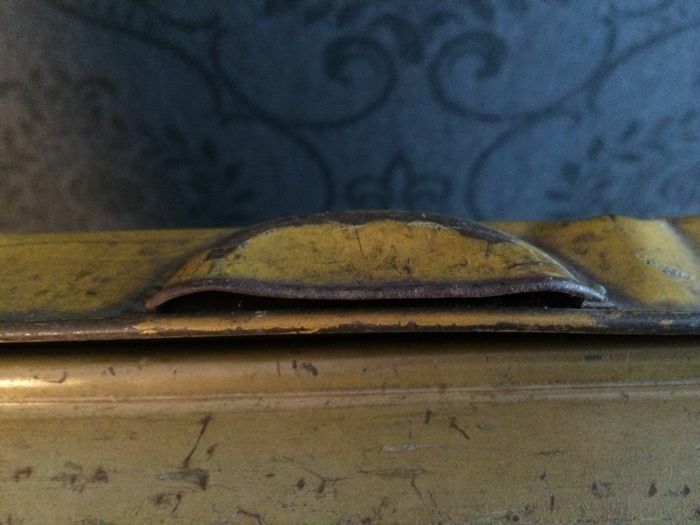 On the back there are two hinges. 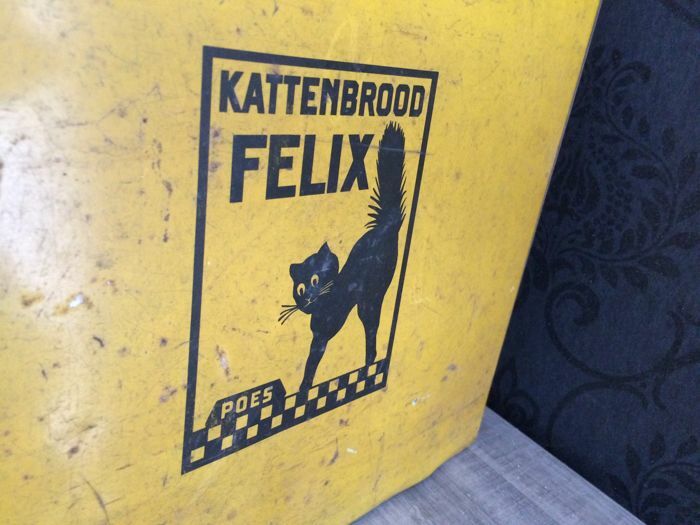 Mostly yellow with black colours. 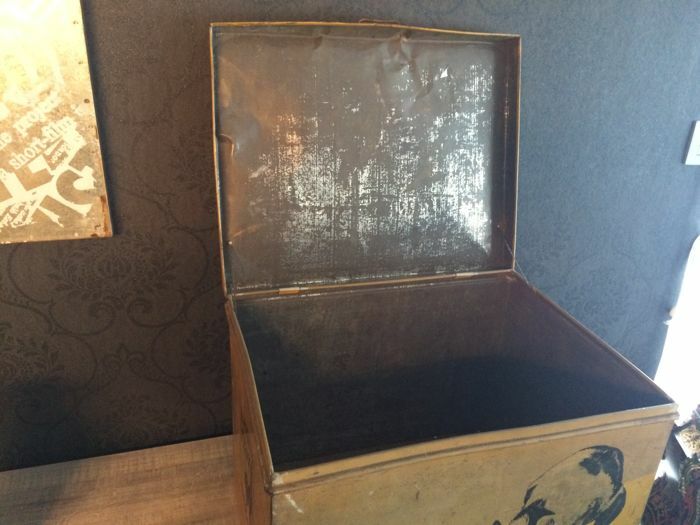 Very decorative item, ideal for the collector. 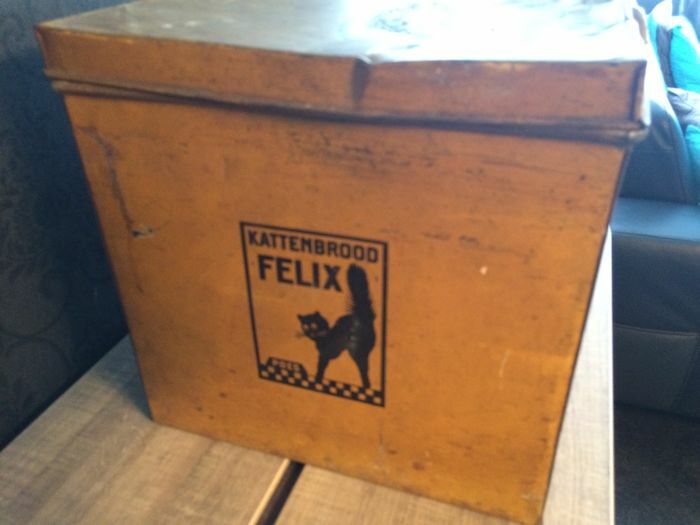 Puoi ritirare questo lotto direttamente presso il venditore: Heist op den Berg (Antwerpen), Belgio.